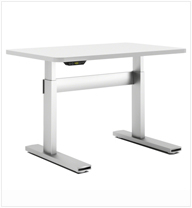 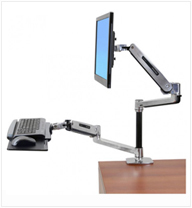 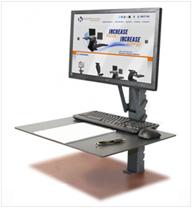 Our patented ILS (Integrated Levitation System) is a system of high-performance lift columns designed to convert virtually any workstation to a Sit-Stand environment. 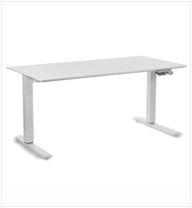 ILS utilizes the structural stability of the furniture system while also maintaining a fixed relationship between work surface and panels. 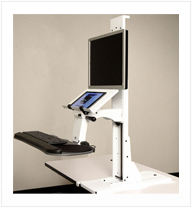 System mounting options include a variety of panel mounts, Race and Dirt componentry. 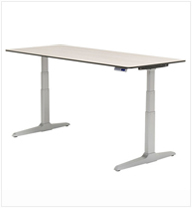 With two dynamic options available; panel and freestanding makes the conversion to a Sit-Stand environment effortless and a sustainable solution. 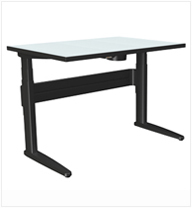 The ILS system utilizes existing work surfaces and componentry to maximize your furniture investment.